A good day for a popsicle is a day that’s particularly hot, maybe even muggy. You’re out in the sun all day and your body starts craving refreshment. It wants the liquid, but it also wants the coolness. Something about ice on the tongue that brings your body temperature down a few notches. Then when the popsicle starts to melt, you are rewarded with a sweet, sugary liquid for some energy and flavor. It’s the whole experience that makes it special. It’s summertime refreshment and nostalgia all molded together and served on a stick. Today was not a day like that. It was warm but not overly hot and I was indoors for most of it, so I wasn’t really working up a sweat. It was slightly overcast at times too. It could have easily been a day to enjoy soup as equally as much as it would be a day to enjoy a popsicle. But because it was National Bomb Pop Day, popsicles were on the menu. But not until later. First we had to feast at the Brick Alley Pub. A Bomb Pop is the red, white and blue popsicle in the shape of a rocket ship that you often see sold in ice cream trucks. They were invented in 1955, by two Kansas City, Missouri men named James S. Merritt and D.S. “Doc” Abernathie. I’m not sure why they invented them but likely it was to ride the pro-America wave of the fifties (not to mention the fascination with space travel). It was (and is) just a fun looking food. Why have one flavor when you could have three? The colors are inviting too – the shiny red, the deep white and the dark blue. If you see someone eating a bomb pop you immediately get jealous, especially if you are hot or thirsty. Like most budding novelty food inventors, James and Doc eventually sold their business to an outside entity – Wells Enterprises. That’s who continue to make the Bomb Pop today (under the Blue Bunny brand). We went to Brick Alley Pub to celebrate the birthday of our niece Savannah who turned eight years old today. At least I think she turned eight. I asked her how old she was and her various answers ranged from 3 to 117. Being a silly uncle (Savvy will tell me I’m the silliest), I sometimes find it hard to get a serious answer. Savvy likes to play along with all my silliness though and she loves to laugh (her sister Eva does too). Lola bought her a Whoopie Cushion and Savvy was cracking up at the flarping noise it would make every time someone leaned up against it. I think she is having a kid party on the weekend but tonight was just about her family celebrating her. It was a good crew with some good food too. I had considered bringing a box of bomb pops to the party so everyone could celebrate afterwards, but you can’t really bring a box of popsicles to a restaurant. They tend to melt by the time it’s dessert time. Plus, I’m sure Savvy wanted cake or a special dessert with candles (she had a brownie sundae and everyone sang to her). No, bomb pops would not have been appropriate. Still, we had a nice little party for her and she seemed as happy as she has always is especially around cakes, presents and songs. She’s a special little kid and worth every celebration in her honor. Today was National Almond Buttercrunch Day too and so after dinner, Lola and I walked around a bit down Thames street to see if we could find some at one of the tourist-minded candy shops littering the town. We found some good places to buy fudge and sour belts, but no buttercrunch. Still it was fun to walk around Newport in the early evening. It was still bustling with activity and it felt nice to do vacation-y things on a regular Thursday night. We didn’t mean to, but we ended up bumping into Lola’s sisters again (we had just ditched them at the Pub). They were doing what we were doing – walking off our Brick Alley Pub dinners and enjoying some local charms, although they were not on a quest for almond buttercrunch. The night had a hint of Chatham to it when we would all vacation together and wander through the shops around town after dinner. Except this was happening in our own backyard. You sometimes forget about what we have right here. Lola and I were in separate cars because I had come directly from work, so we drove home separately too. She took the long way and drove by the beaches to catch the day’s last rays of sunshine dancing on the ocean. I on the other hand went to Shaw’s. I had to pick up some milk and water, but also it was my chance to pick up some bomb pops. The store didn’t carry the specific Bomb Pop brand, but they did carry the Popsicle brand (which is the same thing, they just call them Firecrackers). Still, a bomb pop is a bomb pop and the essence of one of these bad boys is the red, white and blue layered look. That’s what I was celebrating. I made my purchases and then I took one out of the box to enjoy on the car ride home. I wasn’t expecting the popsicle to have a different flavor for each section. I must have forgotten about that but it was a nice surprise. I discovered this when I made my way through the cherry flavored red top and I hit the lemon/lime flavor of the white. I was liking the red, but I really liked the white. It wasn’t as sweet and it reminded me of an Italian Ice. It was my favorite of the sections. The blue was kind of raspberry flavored which was nice, but still I liked the white best. It was less complex, less sweet and just plain tasty. I drove my way down East Main Road, the sun going down to my left as a giant fiery ball in the sky and me behind the wheel with blue lips enjoying the simple pleasure of a bomb pop. I can’t say I’m an overly patriotic guy. I have a deep-rooted hate for Lee Greenwood. I will very rarely take part when a U-S-A chant breaks out. I have no articles of clothing that show off my love for the red, white and blue, nor any ornamental car decorations. But when it comes to waving the red, white and blue of a bomb pop, well then I pledge allegiance. I’m sure this holiday falls on this day because it’s right before Independence Day – a day when Old Glory flies a little more gloriously. The bomb pop is the perfect product for this time of year. It’s as American as the pie and Chevrolet. So today, I salute the glory of the bomb pop and for all the joy it brings. May forever in peace may she wave. I’m certainly getting my share of pudding this week, as if you could ever have enough. But that’s how it goes. They give you chocolate pudding one day and tapioca the next. Today was National Tapioca Day, so technically it didn’t have to be pudding, but what else would you make with tapioca? It’s kind of made for pudding. It seemed like the most fitting was to celebrate. Tapioca is actually a starch extracted from cassava root (that’s the yucca plant). The plants are native to Northern Brazil but their popularity spread throughout South America and Mexico. They are known to thrive in bad soil which makes them an easy root vegetable to grow, although they have no real nutritional value. It’s very starchy which is why they are often used as a thickening agent. To get to tapioca, the cassava is processed in the same way you would process wheat into flour. That’s why Tapioca Flour is a thing. The more common end product for tapioca is to be found in the form of small little pearls. That’s what they use to make the pudding. The first time I ever bought tapioca pearls was for Lola to bake a pie. However, she would not bake the tapioca into the pie. She would just use it as a weight when baking the pie crust. When you bake a pie crust, you have to weigh down the dough so that it holds its shape and stays firmly nestled against the pie plate. They actually make weights for this – little beads made from metal or ceramics. However, most home cooks use more natural means to weight down the crust such as beans or in this case, tapioca pearls. This was a tip that Lola learned from when she started to learn about pie making. She actually learned about it from someone who is an accomplished pie maker who also happens to be a very successful author. Even though Lola learned the pie making from videos and articles made and written by her pie-tutor, she would eventually meet her in person and she would become an important mentor and guide to Lola on her writing journey. It’s kind of a neat story, but it’s Lola’s to tell so I will save it for her. However, whenever I see tapioca pearls, I think of the Pie Lady (as Lola’s sisters called her when we bumped into her randomly one night in downtown Portsmouth, NH). If you look up recipes for tapioca, you get pudding. Apparently, that’s what you make with tapioca. I’m sure there are other things you can make with it. I don’t think the people of Brazil just sit around eating pudding all day. They have to use it in other things like teas, drinks or other baked goods. For my purposes however, the only recipes I could find were pudding related. To make tapioca pudding, you soak the pearls overnight and then you cook it with cream, eggs and sugar and let it simmer. It’s a bit more complicated than instant pudding, but not too hard. Either way, I had no time to make any of it. I was working all day and then heading from Warwick to Newport and working a shift at night. My tapioca would have to be store bought. I was ok with that. While I was looking up Kozy Shack pudding the other day, I saw that tapioca is the all-star pudding flavor of their lineup along with rice pudding. That made me think that I should get their version for my celebration. However, I didn’t want to have the same celebration within 48 hours of each other. If anything, this quest demands a little bit of variety, especially if I am buying a pre-made product. Kozy Shack would be my back up plan, but I was hoping I could find something else at the supermarket. I ended up going to Tom’s Market in Tiverton. I had only been there once before and it was a nice little market with that same local feel of Clements (same price structure too). Yesterday, I just happened to be driving by (on route to my Zima adventure) so knowing that Tapioca Day was coming, I figured I should stop in just to see what they had. They have a big prepared foods section with fresh take-home meals and all kinds of breads, desserts, salads, meals and sides that they make in-house. I was in their cold food section for no less than thirty seconds and I saw a whole pint of their homemade tapioca pudding. The gods are good. I picked it up and was on my way. My shift started at 5 and I left Warwick at about 3:45, so I only had a few minutes at home to change and eat something quick before heading over for my shift. I wasn’t hugely hungry at this point but I knew I needed some kind of sustenance to give me a boost to make it through the rest of the night. I also know that I needed to eat some tapioca, so it was the perfect mid-job meal. Well, I don’t know if it was the perfect meal – maybe if I had no teeth or something like that – but it was an ideal meal at the time considering what day it was. I spooned in a few mouthfuls as I was tying my shoes and making final preparations for work. I don’t think I had ever had tapioca pudding before and I wasn’t sure what to expect. I wasn’t dreading it. I mean it’s pudding, so unless it’s blood pudding, I knew it was going to be sweet and mushy. What surprised me were the tapioca pearls. I wasn’t expecting them to bring texture to the pudding, but they did. They don’t break down but they do get soft and easy to eat. They are like flavor bursts in every bite. The flavor was vanilla and I don’t think that was the tapioca, that was the pudding. But the tapioca brought this great texture into it all. It really took your average pudding and upped the game. It was really good. Tom’s Market makes some great products, at least the two times I have eaten some of their creations. It gave me the energy to make it through the night at work. It wasn’t a long night – I was home by 9:30, but I needed the sugar boost to get through. Then when I got home, I had more tapioca. It was a pudding kind of night. Somedays I like to really see what I can do with a holiday. Some ingredients that we celebrate really lend themselves to all kinds of recipes and ideas. Tapioca didn’t really give me many options. That worked out for the best because I didn’t have much time to spare. But, I was able to try the most famous of tapioca products and I became an instant fan. I’ve eaten more pudding this year than I have in my entire life and tapioca is right up there with the best of them. I was always a little shy about tasting it. It seemed oddly old fashioned, like tutti-fruiti or Moxie, and I am always skeptical about old-fashioned (outdated) flavors. But when you are talking pudding, the tapioca brings texture which is what pudding needs. So I learned to appreciate tapioca and that is a win in my book. Hopefully this is the end of my pudding run. I think I have had my fill, but I’m glad the pudding finale came with little pearls of flavor mixed throughout. An orange blossom is the flagrant flower of an orange tree. I’ve never seen one of these before. Orange trees aren’t native to New England and I’ve never been any place where I have seen an actual orange tree in bloom. We have an apple tree in our yard that blossoms every spring and I assume its flower is kind of the same. (Did I just compare apples to oranges?) They, the apple blossoms, are very pretty. I imagine orange blossoms are too, but I bet they smell even better. I bet they have a hint of citrus to their fragrance. It would be like smelling nature’s own Citrus Magic® in your backyard. My only concern for today was how to make a celebration with them especially when there were no orange blossoms in sight. Here’s an interesting point of trivia about the orange blossom: it’s the state flower of Florida. Similarly (or not), the state fish of Florida is the Atlantic sailfish. That has no relevance here, I just wanted to give you a fun fact. While we’re talking fun facts, someone just told me the other day that the official state fish of Hawaii is the Humuhumunukunukuāpuaʻa. That’s an even less relevant morsel of information as it relates to an orange blossom, but it was just something too interesting not to share. Someday you will get that question on Final Jeopardy and you’ll be glad you read this. Maybe when you are on Jeopardy there will be a category about Orange Blossoms too, probably named something silly like “Orange is the New Blossom”. If so, then you should know that the essence of Orange blossom is an important component in the making of perfume. That’s where the flowers are heated and the fragrant compounds are re-collected through condensation of the distilled vapor creating said perfume. For 600 points, you should know that orange blossoms are edible and they are often used in baked goods or desserts in French and Middle Eastern cuisine. For 800 points, you should be aware that the leaves of an orange blossom are used to make fragrant waters and teas. And to run the category, you should appreciate the fact that the orange blossom is considered by many to be an aphrodisiac and it has long been recognized as a symbol of good luck. That’s why they are often found in wedding bouquets (to promote the luck, not the lust). Congratulations, you just won on Jeopardy. I was still puzzled about how to celebrate today. I suppose I could have made busted out my home chemistry set and attempted to make my own perfume to honor the fragrant properties of the orange blossom, but that was a bit too ambitious for me. No, for my personal scent, I’ll stick to Drakkar Noir. Then I thought maybe I could bake something, but I still had the problem of finding an actual orange blossom to use in my cooking (or fragrant water for that matter). That’s when my Google efforts enlightened me to the fact that the orange blossom is also a drink. I had never heard of this drink, but it seemed like it was not all that uncommon. Best of all, it was not made with orange blossoms themselves. Just orange juice, gin and some orange liqueur. That’s right, today was the day to sip on some gin and juice. I had to go to the package store to pick up some gin. With our recent penchant for Gin Lime RIckeys, our supply had run out. I actually hate buying bottles of booze because we have so much random liquor in our liquor cabinet that it seems like I’m creating more clutter. However, gin is one of the staples for any stocked bar so if we were out, we needed some. I stopped on the way home at a place in Tiverton. I’m not sure why I stopped there, just wanted to go to someplace new. I walked in and made a beeline to the gin aisle where I hemmed and hawed for five minutes over the selection. I usually go Tanqueray but there were a ton of other options available and I wanted to branch out. I ended up picking up some Boodles which looked good, I had heard good things about and I liked the name. (That’s the same criteria I used when I started dating Lola.) On my way to the counter to pay I passed by a display that had Zima for sale. That stopped me in my tracks. Zima? What year was this? Was this possible? Apparently, they have rereleased the clear malt beverage because the nineties called and they wanted their beverage back. I couldn’t pass it up so I picked up a six-pack. Now I can never go back to that liquor store. When I got home, Lola was out and visiting a friend so I decided to have an after-work cocktail by myself. The orange blossom is a pretty simple recipe: 3 parts gin, 1 part orange liqueur and 3 parts orange juice. I made it in a cocktail shaker, shook well and then strained it into a chilled martini glass with a sugared rim. For the orange juice, I picked up some Natalie’s OJ which is a Florida based company that sells fresh juices. They probably see lots of orange blossoms in their orange groves. Their products are always nice and fresh so I knew I was getting fresh. real orange flavor in my drink. I think I put in too much orange juice because the orange taste kind of dominated. I suppose that was appropriate for orange blossom day, but it kind of took away from the overall cocktail. The gin was there in the background, but it was an afterthought. I used Triple Sec as my orange liqueur and it would probably have been better with something more bold like Cointreau or Grand Marnier. The cocktail just didn’t come together like it should have. It was refreshing in the way that orange juice is refreshing, but it wasn’t complete. It reminded me of when we would mix gin with orange juice in college because we needed to mix it with something and didn’t really want to taste the gin. I like gin but with apologies to the D-O-Double G, I really don’t think it goes great with orange juice. Still, I enjoyed a nice orange blossom cocktail on National Orange Blossom Day, so that’s a win. Then I got to follow it up with a Zima. A Zima in 2017 – who would ever think it? It still looks cool. The clear bottle with grooved lines holding a clear liquid inside. The bold blue label. The distinctive font. I cracked it open and took a sip. It was just like I remembered. A bit sweet. A little carbonated. A hint of booze in the background. Not a very distinct flavor. Hints of lemon-lime, but just a hint. It wasn’t bad, but it wasn’t great either. It was just … Zima. I remembered why it never stuck around. You could never drink more than one. It was filling and sweet which didn’t lend itself to making it your cocktail of choice for a night out. It was gimmicky which is oddly the same reason why I bought it today. But I had to try it. When life gives you orange blossoms, you make orange blossom drinks. That’s ridiculous advice because life just doesn’t just throw orange blossoms at you especially when you live in New England. But when life gave me the concept of orange blossoms today, I decided to learn a few things. I learned about how this flower is used in baking and perfume making. I learned about new state flowers and fish. I learned about teas and fragrant waters. And I learned how to make a new drink. Orange blossoms even steered me to revisiting an old friend (Zima) and how to take a nice break from the routine of every day (zomething different). That’s making the most out of a flower you have never ever seen. Hopefully it will bestow good luck upon me too as it has been known to do. This is one powerful flower and I felt lucky to be celebrating it today. But don’t tell Snoop. I suppose pudding is the ideal treat for a Monday. It’s simple. It’s sweet. It’s easy. That’s what you need on a Monday, or at least I do. I was having a particularly rough case of the Mondays today, so I am glad the holiday gods made it easy for me. Not that my day was so taxing, it just wasn’t a day that was particularly fun. It started with traffic. It moved into a day of work that dragged along followed by more traffic home. It was bills in the mail. It was politics. It was healthcare. It was leaky ceilings. It was a little bit of everything. It just made me feel not very celebratory. That made chocolate pudding a mixed blessing. I had purchased the pudding on Sunday looking ahead to today. I was going to make my own but after looking at the label on a box of Jell-O chocolate instant pudding, I realized how simple it is to make. You just add milk. I didn’t think that had much of a wow factor. I wasn’t going to impress anyone with my pudding, so I decided to go pudding cups which are actually a classic way to enjoy pudding. I went with Kozy Shack brand. That’s a brand based out of New York. I knew of this brand because they make a really good rice pudding (at least one my Mom and Dad liked), so I would see the tub in my fridge at home growing up. Naturally because people from the Greatest Generation never throw out a perfectly good container, I would see the tub reused throughout the years for other things. I was never a rice pudding fan, but sometimes if you peeked inside you would find other things that more tickled my fancy. I do remember someone saying that Kozy Shack was the best and that random bit of information stuck in my mind. That’s why I grabbed their chocolate pudding cups today. I was not part of the pudding cup generation. That came just after me. The pudding cups that we had growing up were metal and you would have to pull off the lid by grabbing the loop on top of the can. I was never a pudding guy so it wasn’t a treat I ever messed around with, but when I saw someone eating one, I’d naturally be intrigued. But I don’t think they became standard lunchbox fare until the new generation of pudding cups came around. I think they upped their quality and their advertising dollars because that’s when pudding cups became a school kid staple. They even angled themselves as the healthy snack and adults were even reaching for a pudding cup for instant energy. But like I said, I missed that chapter. I was going to have a pudding cup as my after-work snack as a small tribute to the emergence of the pudding cup as the after school snack of choice, but when I got home it was late and I was still suffering from the Mondays. We actually had ours at night as our evening dessert. I grabbed two cups from the fridge, a couple of spoons and we were ready to indulge. That’s the simple and easy pleasure of a pudding cup. When Lola picked up hers, she kind of turned up her nose at the Kozy Shack brand. She wondered if the store was out of Jell-O brand. She thought I went bargain bin shopping. I tried my best to argue the merits of Kozy Shack saying they are regarded as one of the best. She had doubts. She had not heard of them. I tried to convince her that her mom used to buy it, and she categorically denied that her mom had anything to do with Kozy Shack. All that could save me now was the taste test, so after she peeled off the lid and licked the remnants off of it, she scooped out her first bite. A slow smile came to her face. It passed the Lola quality test. I kind of knew it would. It’s got good chocolate flavor and the texture is perfect. It’s everything you want in a pudding and it’s all contained within a neat little cup that’s easily disposed of. She was happy with her pudding snack and so was I. This all led us into a pudding discussion and Lola told me that there was a time that she used to love pudding cups. I assume this is where she acquired her preference for Jell-O brand. She is also a diehard fan of Jell-O Pudding Pops which unfortunately are no longer in production – a fact she has lamented for years. Lola feasting on pudding cups was an image that didn’t fit into what I knew of her youth. Her parents weren’t ones to have a lot of sugary snacks around. I also didn’t picture her packing a lunch with pudding cups tucked inside. Lola wasn’t too clear on this either and the best we could surmise was that her mom would have pudding cups around for quick snacks, especially when they were being touted as a good snack. Lola recalled having a collection of spoons either in her backpack or desk or locker. That seemed like Lola. Grabbing a pudding cup and a spoon for a quick snack on the go, and then stashing the spoon in her bag to bring it home. Her bags and purses have shown me insight into her mild hoarder tendencies, but that’s one of the million reasons why I love her. I learned a little but more about her today. A case of the Mondays is never a very cheery thing and today Monday came at me like a charging moose. Somedays just knock you down. That will happen. You just have to pick yourself up, wipe off the dust and stand your ground. Oddly enough, having a little pudding at the end of the day made today a little brighter. Just a pinch of sweetness to help me take a deep breath and ready for the next day. Going to bed helps too and I think we were in bed by 9:30. Still, don’t overlook the joy of chocolate pudding. It gave me the sweet relief I wanted. It helped me learn a little bit more about the one I love and it gave us a smile in a day that was working fairly hard at trying to prevent any smiles from coming. These days will happen and when they do, that’s when it is becomes even more important to look around and celebrate what you have. Today that was pudding and that was good enough for me. The Parfait Lobbying Association must be sinking tons of cash into the official holiday governing body because today is the third such day in the last year to honor a parfait. I like a good parfait, but does it deserve three days? If you appreciate a chocolate parfait, does a strawberry parfait need its own recognition? Are there more days coming down the pike? Butterscotch parfait day? Pumpkin parfait day? Wake up people – Big Parfait is running this country, or at least our holidays. The word parfait is from the French and literally means something perfect. Well that seems a bit much, but a parfait is certainly delightful. There are different kind of parfaits too depending on where you are in the world. In France, a parfait is a frozen dessert made from a base of sugar syrup, egg, and cream. It’s made needing less stirring than your typical ice cream (think of your ice cream maker), so it was a dessert that could be easily created by the home cook. That’s how the French parfait began to gain more popularity. If you were to order a parfait in England, you might be served a very smooth meat paste similar to a pâté sweetened with liqueurs. Leave it to the Brits to ruin a perfectly fine dessert by making it into a foamy combination of chicken livers. That’s probably more of a culinary delicacy, but no thank you. Here in the USA, our parfaits are on the sweet side and are actually layered and served in tall glasses. They can be made with cream, ice cream or even gelatin and they layered with granola, fresh fruit, cookies, syrups and anything else you want. Today, I would layer mine with fresh strawberries. Today was the first day I have had off from both jobs since Memorial Day. Not that my life has been extremely taxing over this last month, but there’s something about having a whole day off with nothing to do. I slept in a little (I can’t believe waking up at 7:45 is sleeping in to me now). I had a nice leisurely morning. I made breakfast. I had coffee on the deck with Lola. It was everything I wanted it to be. Then I got to spend the day in the yard. Most of it was spent mowing, but I took my time today so it would come out nicer. I removed some weeds that have been bugging me, especially some giant stalks that were growing in random spots that if I didn’t no better, I would have thought Lola planted them with magic beans she had received from trading in our cow. Lola was outside too and was power-washing the deck and porch. We were both working the land in our own little worlds. It was hard work, or at least tiring work, but it was good work that made you feel you accomplished something. At the end, I went for a swim in the river to cool down. The water is still freezing, but it was a refreshing oasis after sweating away the day. Then Lola came down and we had a beer in the early evening sun watching the water. That’s a pretty great day. I recharged myself which is what a good day off is supposed to do, so that was a win. I was able to finally get our propane tank refilled today too so our grill was back up and running. For dinner, I fired up some burgers which were the perfect meal for the end of a day like today. I topped each burger with cheese, cheddar for Lola, American for me, and then added fresh tomatoes and arugula too each. Lola had some ripe avocado on hers while I had a pickle on mine. I also made some seasoned french fries on the side. We were both famished when we finally sat down to eat which was the sign that we had both put in good hard days of work. Then we nestled in to watch some entertainment and let our minds drift away. We started watching the new Netflix series GLOW which so far has been pretty good. After our first episode, it was time for some dessert so I went into the kitchen to start parfait making. I had picked up some supplies at Clements earlier in the day, the most important being the fresh local strawberries. These were fantastic. They were nice and ripe, with a bright red color to them all. They were sweet and that slight perfume-like taste to them – so good. I had sliced up a bowl of these earlier and had them sitting in their own juices with a touch of sugar to help them break down. I whipped up some fresh cream too which would be prefect with the fresh berries. Then I started assembling. I technically don’t have parfait glasses, but we have long tall beer glasses and those work out just fine. The bottom layer was vanilla ice cream. I topped that with the fresh strawberries and then the whipped cream. On top of that I sprinkled in some crushed animal crackers to give everything a little crunch. I topped that with some strawberry topping. Then I repeated. At the very end, I topped off both servings with more whipped cream so it would have that nice, fluffy top. They looked delicious and refreshing. Now I know why the French call this perfect. It really was. I think that had a lot to do with it being the reward at the end of a pretty great day, but it was good no matter what. I thought that the ice cream would be hard as we scooped it out of the glass, but the addition of everything else kept it soft and workable. It melded together with all the other favors. The sweetness of the strawberries were front and center and the strawberry topping enhanced that as well. The whipped cream mixed with the syrup of the berries and the ice cream to create a real creamy delight. The animal crackers delivered the right crunch too because it needed a little more texture. The cookies were a nice sweetness but not overly sweet. It really was a great little treat and although I wasn’t all that excited for a parfait, in the end it was one of my favorite desserts we’ve had in a while. The only thing I wish I had was longer spoon to make it easier to get all the goodness at the bottom. I have heard of pralines before and I have probably even eaten them. But when I asked myself what a praline was, I wasn’t quite sure. The image that came to my mind was nuts. I was pretty confident pralines were all about nuts. Then I wasn’t exactly sure how the nuts were used. I pictured a candy, similar to a toffee. But I also pictured a cookie, one of those fancy type cookies. Then I recalled hearing about pralines in ice cream. I was still kind of confused about everything praline. Turns out, I was on the right track. A praline is a confection made from nuts, sugar and cream. It originated in France where it was originally made with almonds but when Americans started to make them, the pecan became the nut of choice. The pecan hints at the Southern origins in America and that’s where pralines are more common. A french praline is more hard while the American version is more creamy, like a fudge. At least that’s what Wikipedia tells me. They also tell me that there is a praline cookie which is made with ground pecans, so when I thought a praline was a cookie, I wasn’t wrong. I was working for most of the day so I knew I wouldn’t be able to do much in terms of cooking pralines. More than that, I wasn’t able to plan out where I could get a good praline. As I left for work, I kind of put my faith in Clements. I could stop there on my way home and hope to find something praline-y. That wasn’t that much of a Hail Mary play. Clements has an array of fine cookies, candy, ice cream and others such sweets. Surely they would have something praline. I didn’t care what. They could have had praline cereal and it would have worked for me today. That was my hope as I went into work and I didn’t give it any more thought throughout the day. I didn’t have the time. It was a strange day at work. When I arrived, it was raining. About an hour later, it was torrentially raining. About three hours later, it was 85 degrees outside, sunny and humid. The weather report called for heavy rains in the morning and sun in the afternoon and they were spot on. Normally this would be fine but working at a place that has inside and outside bars, it creates some chaos. When it was cloudy and rainy in the morning, we set up all the bars inside. When the sun came out in full force, we had to scramble and move all the bars outside. That meant moving heavy tables and empty barrels from inside to out. It meant doing it in a hurry too under blazing noontime sun. So after we were all set up after a good half hour of straight chaos, I was drenched in sweat. This was also the time I had to go give the one o’clock tour. I apologize to all those one the tour who thought I had a pituatary problem. I cleaned up as best I could in the bathroom and then headed out to the tour meeting area like I do for every tour. I started inside with the history and after all were briefed on that and on the safety concerns for our walking tour, we headed back out into the sun and into the vines. When I head into the vines, I wait for everyone walking behind me to catch up. As I wait, I do a fake headcount. The headcount makes it look like I’m making sure I don’t lose anyone on the tour although it’s really something I do to just pass the time until everyone is situated. While I was doing this, I happened to notice a new face that just joined the tour when we headed outside. It was Lola. She jumped in the tour to check things out. She was a welcome sight. I continued on my way with my usual tour spiel and filled the tours’ minds with incredible factoids about the art of winemaking (a work of fiction on my behalf). Lola stayed with the tour to the end and she said I did a good job. I even heard her solo laugh when some of my jokes fell flat on the group. It was fun having her there. Afterwards, she sat down at the bar for a tasting and I got to give her a taste of some of the wines we serve. She was my cutest patron of the day. She actually grabbed a sandwich too and then ate it at the bar. She was only there for about an hour but it was a fun little surprise to have her nearby. After she left, the day went on. I got moved to an inside bar, I finished out the day and then finally got out at about 7:30. Then it was time too start thinking about pralines again. I pulled into Clements with high hopes. I was really tired at this point and a little dehydrated. Our clean up at the end of the night is a lot of physical work so I had worked up another sweat. I was tired, my feet were sore and I was hungry. Still, I was on a praline mission. When I walked in the first place I went to was the section were they have Del’s Lemonade in bottles. I popped it open right there and chugged it before walking through the rest of the store. I needed this refreshment even though it added another notch to my odd Clements behavior. Then I started searching. I started in their special candy section where they have truffles and chocolates and turtles. This was where I had the highest of hopes I would see pralines, but alas they had none. I then moseyed over the candy aisle. They have a good collection of specialty candies there but after a pretty thorough row-by-row search, they had no pralines. The cookie aisle was next. For a brief moment I had the hope that a praline was a Pepperidge Farm cookie flavor. I could almost see it printed in the bag. But after another search down the whole cookies section I came up empty, even in the Pepperidge Farm section. My hopes were running low but I figured I’d give the ice cream section a check. I kind of hoped for praline ice cream because ice cream seemed particularly dreamy at this point of the day. I did my row-by-row search and spent extra time in the specialty ice cream areas. The search in the ice cream aisle was more difficult because every freezer door was frosted up, so I had to stop and open each door, look at them all, then close it and move to the next door. All that searching and I came up empty. It wasn’t looking good. As a last ditch effort, I walked over to the bakery section and started searching. That’s when I found it. In their homemade fudge section I found their Chewy Praline Fudge. I had never had their fudge before but I did know that they made their own. They usually have all kinds of flavors which is why I thought to look there. It was a white fudge with a layer of pralines through the middle. It clearly said praline on the label and that’s all I needed to see. I grabbed it and made a beeline for the check out counter where I paid for it along with my now empty Del’s. Then it was on my way home. I had some after I showered and drank about four more bottles of liquid and ate all the watermelon we had left. I was seriously dehydrated. I was ready for some nice sweets and the praline fudge was the perfect ending. It was a white chocolate fudge on the outside and it had that soft, creamy texture and vanilla flavor that you get from white fudge. It was topped in a caramel sauce which just added a bit more sweetness. But the star was the praline center which was a thick but chewy caramel with whole pecans swirled in. It combined nicely with the sugary fudge and it was a special treat. Even Lola agreed, although she called my attention to a citrus finish on the bite which made me think they added some zest to the mix. I guess that brightened the flavor, but it was an odd finish to an otherwise sweet treat. Clements’ fudge passed the taste test with flying colors and they delivered on my Hail Mary praline quest. It was a long day and an exhausting one, but it wasn’t without its sweet rewards which came in the form of a sweet dessert at the end of the day and a pretty, smiling face in the middle of it. Once again the folks at Clements came through in my desperation to complete this quest. Even though it wasn’t exactly what I was looking for, it was something new and different and delicious. That’s a celebration. I guess that’s what I have to remember when I have days where I feel I took some liberties to achieve the end result. It’s the experience. The discovery. The enjoyment. The pralines were a reward at the end of a long day and that’s why the celebration continues. I look forward to more praline discoveries in the future too. They seem to be the perfect solution to long and tiresome quest. A Pecan Sandie is essentially a shortbread cookie with some pecans added in. Shortbread cookies have been around for years. It’s a simple cookie dough made from butter, sugar, salt, vanilla and flour. A tried and true cookie. Inevitably, the pecan people came in and decided to add their nuts to the mix and we were left with this new cookie. They say it comes from Arabian origin which makes sense because the Arabians love their nuts and with a bounty of pecans, they would surely be trying to think of ways to use them up. A cookie was a fine innovation. The name “Sandie” is said to derive from their color which resembles the color of sand. It might even hint at the texture too because the cookies are crumbly, not unlike the texture of sand. In my own version of the history, they are named after Sandy Duncan, because nothing’s quite as sweet as Sandy Duncan. We’re talking Peter Pan here folks, and the Mom left with bringing up the Hogan kids. She deserves a cookie named after her, although this one was not. I didn’t have the time to bake cookies today. It was the end of a long week and I just didn’t feel like coming home and baking. My plan to celebrate was simple: enjoy the work of the elves. The Keebler Elves in fact. They have the most recognized version of the Pecan Sandie. It’s even a registered trademark of theirs. I was just going to go to the store, buy a box and start celebrating. I wasn’t sure if they are cookies you can get in small packs at convenience stores. I have seen small versions of other Keebler cookies like Fudge Stripes and more, but I couldn’t be sure if they sold Pecan Sandies like that. I decided to just go to Stop and Shop and that’s where I headed right after work. There is a location right by my office and I had to stop for toilet paper anyway. This was about 4:30 and after making my purchase, I was back in my car with all I needed. I was meeting Lola at the movies for a pretty crazy Friday night. The movie started at 5:10 in Seekonk which is just on the other side of Providence heading towards home. We hadn’t been to the movies in a long time and we were feeling like we needed a movie night. Part of our movie drought was there hasn’t’t been anything worth seeing in the theaters of late. But we just wanted the comfort of a theater and as luck would have it, there was a movie starting at a time we could both make it to without going home first. Sometimes when you go home after work, it’s hard to get up and go back out. The 5:10 worked out fine. The movie playing was Rough Night which was a comedy in the vain of Bridesmaids and The Hangover with a pretty good cast. The most intriguing cast member to us was Kate McKinnon (our buddy from SNL), who is always good for a laugh. That’s what we were looking for – just some good laughs. We weren’t dying to see this movie, but it just worked out well and the promise of some laughs was there. There’s nothing better than hearing Lola laugh in a theater. She has a great laugh and she will sometimes laugh at the most subtle jokes and it just makes me smile to hear it. We both got there at about 5 pm and had plenty of time. It wasn’t particularly busy so we got two parking spots right in front next to each other. When I got out to say hello, I quickly asked Lola to shove this bag of cookies in her purse. I had taken them out of the big package and put about 6 cookies into the plastic shopping bag. Bringing in the whole box would have been too risky. As a testament to Lola’s partner in crime status, she just took the cookies and shoved them into her purse without question or comment. I could have been packing crystal meth in her purse, but she didn’t care. We were in this together now. We then made our way into the lobby with illegal snacks on our person. The crack team at the ticket counter never even noticed. We then proceeded to the concession stand with an air of confidence. We ordered some popcorn and soda. I was going to order some milk, but I felt that was too conspicuous. Lola made small talk with the clerk, but not too much to raise suspicion. He sent us on our way and we had made it through, popcorn in hand and strapped with a bag of illegal cookies. That’s how you celebrate National Pecan Sandie Day – as a cookie felon. I started by eating the popcorn because you have to eat popcorn when it’s nice and hot. I made sure I covered my lap with tons of napkins so the butter did not seep through. That has been an issue in the past. I munched away through the previews with Lola’s hand making random appearances in the bag for a handful. I’m usually the popcorn holder. She holds the Milk Duds. After a while, when the movie was just getting going, I grabbed the bag of cookies which I had stuffed in our neighboring chair’s cup holder (we were 2 of only 4 people in the theater). I pulled out a pecan sandie and enjoyed. I gave one to Lola too. She took a bite and then tossed the rest into my bag of popcorn. She was not a fan. I thought they were pretty good. They have a genuine homemade taste to them and I was surprised at how much pecan flavor was in there. I think Lola rejected these because they didn’t fit into her movie dining plan. You can’t mix a nutty shortbread cookie into the mix of popcorn, soda and milk duds. They just don’t go together. I can usually mix up anything, so they were good to me. Maybe they were especially good to me because they were clandestine cookies made by elves in the Arabian tradition in honor of Sandy Duncan. The movie was only ok. There were some laughs in there, but it wasn’t a great movie. Lola and I discussed and we found it derivative. I can only say that after discussing that word with Lola and looking up the definition, but derivative it was. I guess I just expected more from the cast. I was hoping for full belly laughs. I only got a few chortles and grins. We hope some better movies come around soon. I forgot how much we like going to the movies. It’s kind of our respite from life. It’s the experience of enjoying something together. It’s the magic of dark theaters, of special snacks and of getting lost in another world. We like movies that we can talk about afterwards – ones that inspire us. And even though this movie wasn’t very good, it still inspired a good discussion as we broke down what went wrong and inspired us to create something better in our mind. So yeah, we need more days at the movies. It had been a while since I had a Pecan Sandie and it was nice to have one again. It’s a good cookie, even the Keebler elf kind. They are sweet in a way but more savory with the rich taste of the pecans mixed with the buttery batter. You can’t compare them to chocolate chip cookies because they are their own thing. That’s ok – it’s good to have variety. They were especially good today because they were double-secret contraband smuggled into a theater by my partner in crime. The Bonnie to my Clyde. That made them special and in fact, the whole day special. That’s why I was the guy smiling in the dark theater, softly munching on cookies and enjoying the spoils of my thug life. Sandy Duncan would be proud. What a fine day for pastry. I suppose any day is a fine day for a pastry, but I liked that today had a specific pastry in mind. It was something to look forward to, I just needed to know where to get one. And not just any one, a good one. I had looked for them at Stop and Shop yesterday. I thought I’d find them in the bakery section. But no luck. Lots of other pastries but not what I was looking for. I found some frozen mini-éclairs in the freezer section, but I wanted a full sized one. A mini éclair is more like a cream puff, especially the frozen kind. I’ve gone the cream puff route. I felt that to truly celebrate the éclair I needed a fresh baked one, so I left the freezer section empty handed and continued my search online. I was looking for the best éclair in Rhode Island and I think I found my answer. An éclair is not unlike a cream puff. They are made with the same type of dough called a pâte à choux which is a dough made only from butter, water, flour and eggs. There is no rising agent in to the dough like yeast. Instead, the dough relies on the excessive moisture which creates a steam when cooked which helps the dough rise and to turn into that light, airy yet crispy pastry. An éclair is made in an oblong shape which also separates from the other boys in the pastry cabinet (excepting the crullers, I suppose). It’s a good eating shape. There are two key elements to a good éclair too. First it is filled with a nice fresh custard which is piped into the pastry after it has cooked and cooled. Then it is topped in chocolate icing. It is generally believed that the éclair was created in the late 19th century by the famous French chef Marie-Antonin Carême who was the first celebrity chef. So famous was he that he would cook for the likes of Napoleon and King George IV, hence the celebrity status. In any case, we can thank him for the éclair. As a point of trivia, in French the word éclair means “flash of lightning” and it is called that either because it is eaten so fast (in a flash) or because the shine of the frosting. Now you know. My online search brought up two names immediately. The first was Gregg’s which is the local restaurant chain with a famous bakery. I had just been there for National Blueberry Cheesecake Day. In fact, I think I recalled seeing some éclairs in their display case that looked pretty good. Gregg’s was only a short drive from my office too, so it would have been pretty convenient. But I thought that I was limiting myself by going there especially for an item that’s not too difficult to find. I didn’t want to do repeat of a Gregg’s experience. Not that their offerings aren’t delicious, I just felt I wasn’t really stretching myself by going there again. The other spot that came up on my search was a spot in Providence called Pastiche. They are located in the Federal Hill section which is a great area for anyone that enjoys food. They were open until 10 pm so I could stop there on my way home. I had found my answer and the only thing that stood in my way was traffic. But I’m used to traffic. I had been to Pastiche before. We had popped our heads inside back when we were searching for Spumoni earlier in this quest. They didn’t offer spumoni which is more ice cream, than pastry, but we looked there. The place was packed when we went – wall to wall – so we didn’t stay very long, although we wanted to. It’s part of the famous Federal Hill section of Providence famous for its Italian food and other great food. Pastiche is tucked away on Spruce Street on the other side of Atwells Avenue (the main street through the Hill), but a spot easy enough to walk to especially when you want to walk off some pasta. It’s fairly well-known in those parts and I was excited to taste their offerings. When I decided to go to Federal Hill for pastry, I figured I might as well get dinner while I was there and because I didn’t think Lola would take kindly to me enjoying a meal alone at one of our favorite spots as she eats a can of Progresso soup, I stopped to get some take out. Actually, I told Lola my plan and she called in our order to Andino’s. We ordered their house chicken dish along with their carbonara. We timed it perfectly too so it was ready when I got there. I pulled up to their valet parking spot right in front of the door, said I was just picking up some take out, and I was in and out in less than three minutes. I felt like I had beat the system. Now that my car was loaded up with pasta, it was time to get some pastry which meant I’d have to find a parking spot. It was probably a two-minute walk from where I was but I couldn’t stay in the valet spot at Andino’s. I took off towards Spruce Street which was of course a one-way street going in the opposite direction, so it took me about ten minutes to reroute and get there by driving down narrow alleys and tiny side streets. There is a Spring Festival on Federal Hill this weekend so the neighborhood was getting ready for it which meant there were booths and tents partially set up on every corner. It was exciting reminder of what was to come, but for the driver in search of a pastry, it meant more obstacles to deal with. When I was finally heading the right way down Spruce and I could see Pastiche, I saw an empty spot a few yards from the door. I thought it was my lucky day but as I got closer I realized why it was empty – it was in front of a hydrant. I pulled in anyway. I knew I’d only be a minute. The hydrant was in front of a big empty fenced off lot which was not in any immediate fire danger. I figured I’d be in and out long before anyone would get in a huff about my parking job. I felt like a rebel. Or at least a scofflaw. As luck would have it, I was the only one in Pastiche. It was an off-peak hour for them – after the afternoon coffee rush but before the after-dinner dessert rush. It would have been the perfect spot to slowly peruse their display case and enjoy with a nice fresh made cappuccino. However, I was illegally parked and had fresh pasta going cold, so I stay focused. I noticed their éclairs in the case and quickly ordered up two of them. They only had two on display. Had they more, I probably would have ordered a half-dozen or something silly, but I stuck with the two even though it turned out they had a whole tray behind the counter. Then, because I was in an Italian section of town and there was a big display right in front of me, I ordered two cannolis too. They packaged them all into a nice little pastry box and they sealed it with their label. I was back outside within five minutes. My car was still there – no tickets or boots on the tires. I put the box in the back seat so I wouldn’t be tempted on my journey home and I was off to go sit in some I-195 traffic. When I got home, we had an Italian feast that couldn’t be beat. The carbonara at Andino’s is really something special. It’s creamy, cheesy and packed with crispy pancetta and peas. You couldn’t have it every day but every now and then it’s worth the treat. The chicken was good too. Our bellies were full so we kept the pastries in the fridge for later. When the sun started to go down, we started to watch Orange is the New Black. We have been binging on this lately and we were down to our last two episodes. It’s a great season, in case you were wondering. Taystee deserves an Emmy nod. They’re not afraid to address some of the issues about race out there. It’s a good perspective on some topical issues and it’s good to see on the screen. OITNB is also the perfect fodder to enjoy with an éclair, so half way through the episodes, I busted them out. As far as éclairs go, these were outstanding. I think it’s because they were fresh. The pastry part had a great texture. Light and airy with a gentle crunchiness when you bit down. That’s when the magic happened. That’s when the custard squeaked out. You can’t just jump into an éclair. You have to be ready for the custard otherwise it will squirt out and all over you. You have to be prepared and I was. It was really creamy too with just the right amount of sweetness. It mixes well with the pastry too. To top it off, the chocolate icing on top brought it all home. It was a dark chocolate which added some sweetness, but not too much. It was the perfect amount too. Enough to cover every bite and leave some on your lips. An éclair isn’t the neatest food to eat, but it rewards you in every bite. I gave it an A-plus, as did Lola. We were both kind of surprised too. We’ve had éclairs before but there was something satisfying about this one. The cannoli was awesome too. I always have high hopes for a cannoli and I am often disappointed. This one delivered. I think it was the filling. It was the usual ricotta cream, but there were bits of shaved chocolate swirled in, but not too much. It was the perfect combo and another fine pastry. As far as quality, Pastiche had won the day. A fine éclair indeed and a fine celebration. Even though I was just in and out for take out, it felt exciting to be on Federal Hill. It had a certain bustle about it that you don’t find in most neighborhoods. It made me recall our dinners there last summer, each one special in their own way. It made me yearn to go back with Lola and truly enjoy. However today was about éclairs, not Italian food. There will be time for that this summer. I’m glad I made the journey to seek out a fine local bakery in the middle of a special culinary area. I know when you think of Italian bakeries you don’t usually think of éclairs, but a good baker knows their craft and the folks at Pastiche know theirs. It was worth the traffic, the illegal parking, the ups and downs crowded allies and the long ride home. It was the perfect ending to the night. It brought joy to our plate, like a flash of lightning, and left us wanting to go back for more. And we will. Welcome summer! Just what we’ve been waiting for. We made it through the Spring. It hasn’t been the best of Springs. It’s been cold. It’s been rainy. It’s been a bit of a bummer. Now summer cartwheels into town with all its splendor. The sun is out. The sky is blue. The grass is green. The water is glistening. The day is long (the longest actually). The sunset is a bit more dazzling. All this deserves our celebration, and that was the plan for today. Today was the Summer Solstice. This is an event that has been celebrated since ancient times marking the longest day of the year and honoring the sun. The Greeks’ calendar actually began with the Summer Solstice and they would celebrate every year with a feast honoring Cronus, the god of agriculture. The Romans kept the party going and honored Vesta on this day, the goddess of the hearth (she of the Vestal Virgin fame). They’d even sacrifice an unborn calf removed from the mother’s womb as tribute to her, so that was going to be my plan today. All I needed was just a pregnant cow, a really sharp knife and some Kingsford briquettes. I headed out to Clements to get my supplies. I thought about how I could celebrate this day and that’s what made National Daylight Appreciation Day stand out. Today was the longest day of the year – the most sunlight. I felt to honor that, I should take advantage of all that sun. It started in the am, although not on purpose. But when the sun first peeked out over the Eastern horizon, it shone right into my eyes and woke me up. It also woke up the murder of crows that like to perch in the tree outside our window and start their day with a chorus of caws. If we had more weaponry around the house, these birds would be dead at the hand of Lola, but thankfully our crossbows are out of reach. I digress. The day continued as any other day with the exception that it was particularly nice out. The sun was shining today and it was a welcome sight. I could understand why so many cultures worship the sun. It restores your faith in the world. It makes you feel good. Of course I didn’t see much of the sun from inside my office, but I noticed it on my lunch break and it was there waiting for me when I got out of work. I figured the best way to take advantage of the long day was to put more day into my day. When I got home after a brief stop for some groceries, I decided to put some time in out in our yard. I made the quick change into appropriate attire and headed on out. It was about 6 pm but I knew I still had a few more hours of sunshine that I could use. I was appreciating the extra daylight. I got out some lawn bags and some gloves, then I got a rake. When I had last mowed the lawn it left a few spots where there were piles of cut grass, so I tried to tidy that up. Then while I was doing that, I noticed some weeds and overgrown areas, so I switched gears into pulling those errant plants out from the ground. Before long I had a full on sweat going. It was a good sweat too, the working hard in the yard kind of sweat. I stayed at it for about an hour or so and when I looked back, I had made some progress, but there was so much more to do. It was a deckchair off the Titanic. Still, I was able to sneak in some yard work thanks to the bonus sun. But now I was hot and sweaty. That’s when I decided to take the second step in celebrating the arrival of summer: I went swimming. It was kind of a no brainer. I was hot and there was a giant body of water right in front of me. I had even cleared the path that led down to the water to make it easy for myself. It was just past high tide so the water was still up but it was starting to recede. The sun had also receded too. I knew that there was the possibility of a thunderstorm, but I thought it had passed. When I decided to go swimming, the clouds started to move overhead and I could hear a rumble of thunder in the distance. It drizzled for a few seconds but then it stopped. Then the clouds blew away and the sun came back. A rainbow came out too. It stretched across the whole Sakonnet with one end splashing down over Little Compton, the other in Tiverton. That was my sign to enter the water. It was a sign from the gods. This was my first swim of the season. I was never a big swimmer as an adult, but last year Lola and I started to make a habit of jumping in. It’s been too wet and rainy this year so far, so this was my maiden voyage (excepting my Polar Plunge on New Year’s). I should warn you, the water is still cold. It was a quick jolt to the system. Actually, once I jumped in, you got used to it right away. I know everyone says that, but this time it was true. The air was warm enough so you never caught a chill and all things considered, the water temperature wasn’t too bad (the internet said it was 62 degrees – not freezing but not exactly a steam bath either). It felt good to be back in the water. It reminded me of all the times I had with Lola last year in the summer, floating on our big lime wheel inflatable and just staying cool. I realized that we still had all that in front of us waiting to enjoy and that got me excited for summer. Plus there was a giant rainbow in the sky and that was something. That made the moment something special. Once I cooled down, we went back up to the house and I took a shower. It was about 8 pm now and the sun was still out. We still hadn’t eaten yet though. I decided to have a meal that would celebrate the joy of summer and that started with some fresh watermelon. I usually cut up a watermelon so it’s off the rind and easier to eat. Tonight however I kept it on the rind and just cut it into little triangles. It was so good and I am not sure if that was because it was refreshing or because it was the first day of summer. Either way, it brought us some joy. I then cooked up a steak that I had picked up at the store – a big ribeye on the bone. That’s not usually my favorite cut, but it looked good and it seemed summery. I seasoned it with some secret salt and pepper. Then I sautéed up some fresh mushrooms from our Veggie Box to go with it. It came out super tasty. I served it with some mashed potatoes courtesy of Bob Evan’s (a nice product) and some fresh corn which I boiled and then slathered in some salsa butter. I felt like corn is the quintessential summer food and it seemed like a perfect offering on this very first night of summer. It looked good on the plate too. It was still light out when we started eating although the sun was starting to duck into the west. It was late for us to eat – almost 9 pm. But that’s what summer dinners are all about. Everything is a little later because you have packed more into your days. Our house faces East so we don’t see actual sunsets, but we can see it reflect over Tiverton. The sky turns a red hue as a small reminder of the last glimpses of the day. Summer days never go down lightly. They end in a symphony of color and joy which is the perfect backdrop to a dinner of summer flavors. All hail summer and thank God it’s back. Thank Vesta and Cronus too. It felt good to be in the yard late at night today. It was a treat to have that extra daylight. It made me want to keep at all the weeding and yard work we are trying to do. I want to clean up our fire pit area so we can sit out there on warm summer nights and listen to the water on the rocks. Maybe we’ll sip some beers or even roast a s’more. We’ll just pack more into each and every day. We’ll worship the sun as often as we can too. The sun won’t always be so kind to us. It will bring us days that are too damn hot for any fun (shout out to anyone in Arizona right now). But it will also bring days like today. Hot sun, cool nights, refreshing water and endless possibilities. Thank you Sun for bringing that joy back for the summer. We will continue to honor your warmth and life. I’ll even burn an unborn cow if I have to. For as many times I have complained along this quest about how the holiday gods has conspired against me to make my pursuit of holidays more difficult, I have to say the gods were in my favor today. I needed that. I needed an easy day. 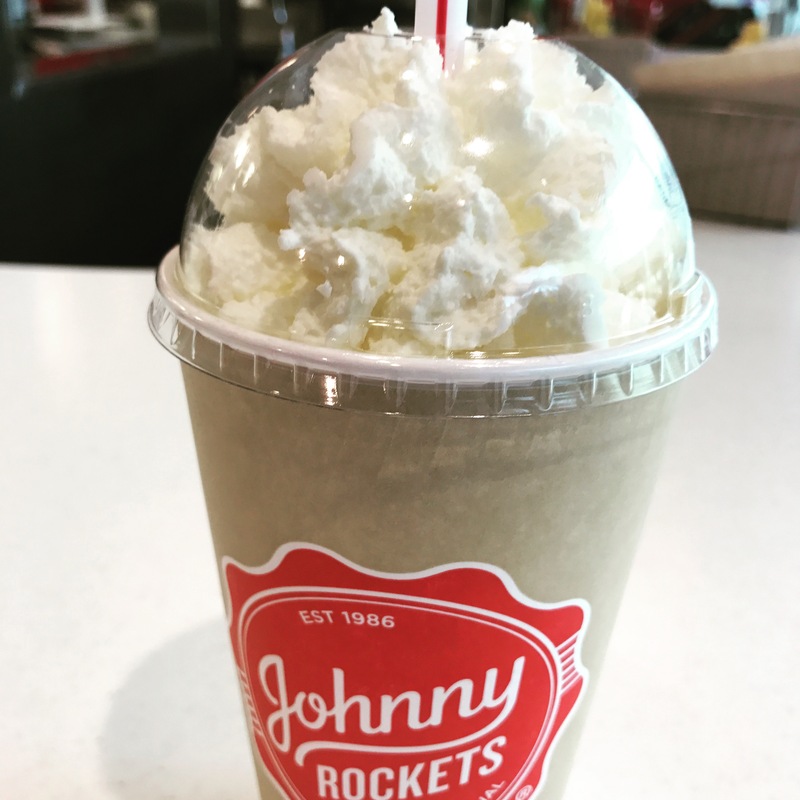 Not only was it National Vanilla Shake Day, but it was also National Ice Cream Soda Day too. As far as holidays go, those are pretty easy to celebrate. With the shake, I always had the option of going to McDonald’s. Not that I wanted to go to McDonald’s. I just knew that if at the end of the day I was up against it, I could get one there (although it would be my first McDonald’s shake ever, I think). Even if the shake thing fell through, I had the option to go up the street to Cumberland Farms, grab a coke and some vanilla ice cream and make my own Ice Cream Soda. Again, not what I wanted to do, but in a pinch, it would work for celebration purposes. No matter what I did, by the end of the day, it looked like there would be ice cream in my belly. That’s always a win for the day. I decided to go the Vanilla Shake route because of the two (shake or ice cream soda), I prefer the shake. I’m still not 100 percent sold on either, but given the choice, I’ll take the one without soda. I like soda. I like ice cream. I just try to keep them separate. I was never really a big shake fan either but in recent times, and thanks to this quest, I’ve been coming around. What’s not to like? It’s milk and ice cream blended together. I guess I just prefer my ice cream on a cone or by spoon. But maybe learning to enjoy ice cream via a straw will serve me. I’m coming up on peak stroke or coma age, so getting ice cream into my system through a straw may serve me right. The last shake I had was for National Chocolate Shake Day and that came from Frosty Freez. It was delicious and the perfect little break in the day. That was back in early September, the waning days of summer. It seemed apropos to take up the shake again as we were on the eve of the summer solstice. I just had to find the right venue to serve me my shake and I was really hoping it wouldn’t be McDonald’s. I started thinking about places to get a good shake and I admit, I wasn’t that knowledgeable here. I never pay attention to shakes because I’m not a huge fan. The idea that came to mind was that of the burger place or local diner. I’m not sure if that’s really the place to get a good one or if I have been conditioned into thinking that thanks to pop culture. I thought of Pop’s where Archie and Jughead would indulge after school. I thought of Arnold’s where Ralph Malph would have one dumped on his head every week. I thought of The Max where Zack would stop time to discuss how he wanted to share one with Kelly K. It was that classic drive-in image. It’s a completely fabricated image, at least in my world. I’ve never know that life, but that was the image of where I had to go. That made me think of Johnny Rockets. I didn’t think there were any Johnny Rockets in the area, but I looked them up online just to see. Johnny Rockets is a burger restaurant that was created in the same image of what I was envisioning – that classic 50’s burger joint with employees in paper hats, clean and bright red and white décor and of course, a menu where the stars were burgers and shakes. I have seen them around but usually don’t stop. I think the first one I remember seeing was at the casino. People were making a big deal about it. They said the burger was amazing and the best part was the show – the employees. There was talk about great shakes too. I don’t think I ate there though. The line was too long or something like that. I associate them to be in bustling areas, like casinos and airports and major tourist cities. When I looked online I was shocked. There was one in Warwick. In fact, it was right around the corner from my office. It was less than a mile away! The holiday gods are good. As I thought about it, I realized I had seen it before. It’s in the food court of the Warwick Mall. When I first saw it there, I remembered thinking that can’t be a Johnny Rockets. It’s too small. They’re too big for a kiosk in the Warwick Mall. I hadn’t even considered it as a place to stop because I didn’t think it was real. It was probably a copycat, like Donny Pockets or something like that. But no, it really was a genuine Johnny Rockets. That’s where I was going to go for lunch. I walked in through the doors, past the carousel and past the Toy Vault and sat down at the lunch counter. The restaurant is tiny compared to a usual Johnny Rockets. There were only two or three tables in the dining area, about six stools at the lunch counter and then a roped off pick up line where you could order to go and eat in the main promenade of the food court (that sounds way more elegant than it deserves). It was after 1 PM so the lunch rush was over and the server came right over to me. I ordered a vanilla milkshake. She went to go make it and in a minute or two, it was ready for me. I ordered a cheeseburger to go with it. I’ll give them this – they know what they are doing. Or at least they know their way around a drink blender. It was thick and full of flavor, but not too thick. I was impressed with the vanilla flavor. They must add some vanilla extract to the mix to give it more flavor. You could tell. It actually was one of my most enjoyable milkshakes ever. I’m a fan of vanilla as a flavor. Vanilla gets a bad rap as being plain. It’s really not. It’s a deep, sweet flavor with a lot of nuances in there. It’s complex so when you get something that is vanilla flavored, you get that depth in every bite (or sip in this case). They topped it with whipped cream too which was good, although to be honest, unnecessary. People get a little overzealous with whipped cream on beverages these days and I think that’s because it makes it look bigger. This shake was fine on its own. The burger was good too. It was a little less-salty than I expected, but perfectly cooked and fresh veggies on top, especially the crispy pickle. A pretty nice little lunch if I do say so myself. My only regret was that I didn’t have time to check out the new novelties at Spencer’s while I was there (#MallLife). Praise the holiday gods for they are good. Just when I needed an easy day, they delivered and they made sure it didn’t come with golden arches on the label. It came with a retro-signature of someone named Johnny. Somehow that was perfect for a vanilla shake. It was almost what I imagined. It was the spinning red stools at a lunch counter, it had the waitress in paper hats and red aprons. It was burgers and French fries and handmade shakes to order. It was just missing the jukebox alongside Moose, Reggie and the gang. Oh, plus it was smack dab in the middle of a mall, directly across from Panda Express and Auntie Annie’s Pretzels. I wasn’t envisioning that. No matter, I found a really good vanilla milkshake. Not that I found a hidden gem or special local treasure, I had just found one of the best vanilla shakes out there. That’s what it was all about today and it just goes to show you that good food is good food, no matter where you get it. Give the little guys a chance, but don’t ignore what the big guys can bring to the counter. Do it for Johnny, man.